A delegation of high profile officials of Malaysia which also included a World Bank (WB) official visited the Philippine Carabao Center (PCC) and got first-hand knowledge on what the agency has done and is doing as regards carabao dairying and related industries that it has spawned in the country. The delegation, headed by Mr. Samuel Taffesse, Senior Agriculture Economist of the WB, was composed of ten members who were mostly officials of Malaysia’s Ministry of Agriculture and Agro-Based Industry. It included Engku Zakir Hussein bin Syed Abdullah, Deputy Director, Agriculture Section, Economic Planning Unit (EPU) of Malaysia’s Ministry of Economic Affairs (MEA). 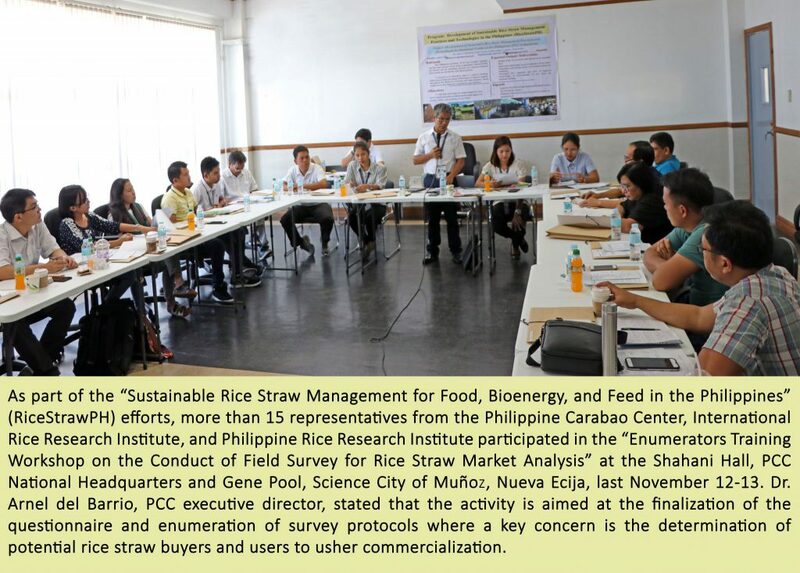 After their visit to the PCC, they also toured other attached agencies of Department of Agriculture (DA) such as Philippine Center for Postharvest Development and Mechanization (PhilMech), Philippine Rice Research Institute (PhilRice). They are also scheduled to visit various agricultural projects in Mindanao. Welcomed by PCC officials headed by Executive Director Dr. Arnel N. del Barrio, the delegation started off their visit to this agency by having a walking tour of its Central Collecting and Processing Facility (CDCPF). It then later provided opportunities for the tasting of the dairy products produced by Milka Krem, which serves as the PCC’s showcase of buffalo milk-based business utilizing farmer’s milk produce. 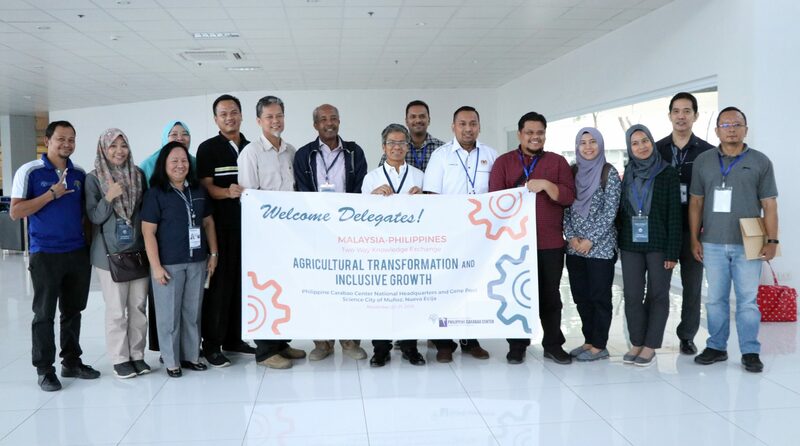 Dr. del Barrio, in his message to the delegates, said that their visit, coupled by their sharing of their own experiences, knowledge, best-practices, and technologies in the fields of agriculture, would surely benefit Malaysia and the Philippines. The PCC executive director also briefed the delegation about the agency’s Carabao-Based Enterprise Development (CBED), adding that more than 300 cooperatives nationwide are currently involved in the program with assistance from PCC. He expressed gratitude to the World Bank for selecting PCC as one of the agencies to be to be visited by the delegation. Dr. Eric P. Palacpac, chief of PCC’s Knowledge Management Division, on the other hand, discussed the breeding technologies developed by PCC in relation to the agency’s Genetic Improvement Program (GIP). The visitors were also given a tour and briefing of the PCC’s national buffalo genepool and cryobank facility. “I urge the mothers to make it a habit to have their child drink milk,” Mayor Nerivi Santos-Martinez underscored in her message during the launching of a milk feeding program last November 14 at Brgy. Pinagpaanan gymnasium, Talavera, Nueva Ecija. The collaborative effort of Talavera’s local government unit (Talavera-LGU) and PCC targeted 100 children, ages 4-6 years old, from Pinagpaanan and Dimasalang Norte. 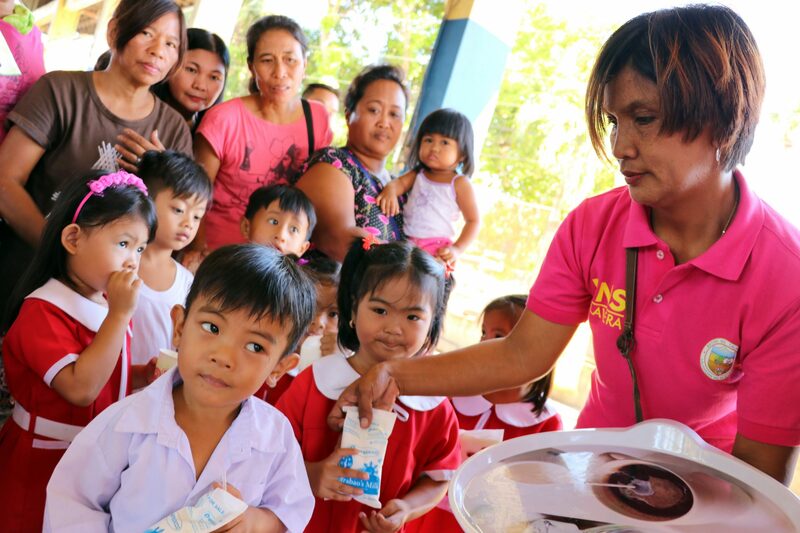 According to municipal health officer Arjhay Bernardo, the initiative is geared towards addressing malnutrition problem in Talavera by making sure that the children drink carabao’s milk. The feeding will last in the span of one month. Fresh buffalo milk in 200ml packets will be supplied by the Nueva Ecija Federation of Dairy Carabao Cooperatives (NEFEDCCO), which is being assisted by PCC. “This milk feeding program will not only make children healthy but also contribute to the livelihood of dairy farmers who will provide the milk,” said Dr. Eric Palacpac, PCC Knowledge Management Division chief. He added that Talavera and PCC have been partners for a long time on similar activities and that the approval of RA 11037 or the “Masustansiyang Pagkain para sa Batang Pilipino Act” paved way to the institutionalization of milk feeding program in the country. Meanwhile, Mayor Martinez said that in Talavera, NEFEDCCO and DVF farm both usher the progress of carabao’s milk as One Town, One Product or OTOP. She also proudly shared the news that the town was dubbed as one of the most child-friendly towns in Nueva Ecija. NEFEDCCO is organized from selected dairy cooperatives in Nueva Ecija and it collects as well as processes carabao milk-based dairy products. DVF dairy farm, on the other hand, is a private milk processor whose market includes Nueva Ecija, Metro Manila, Pampanga and Cebu. Earlier this year, the 12th Gatas ng Kalabaw Festival was hosted by Talavera. It highlighted the ceremonial cutting of a white cottage cheese made from 400kg carabao’s milk from PCC. 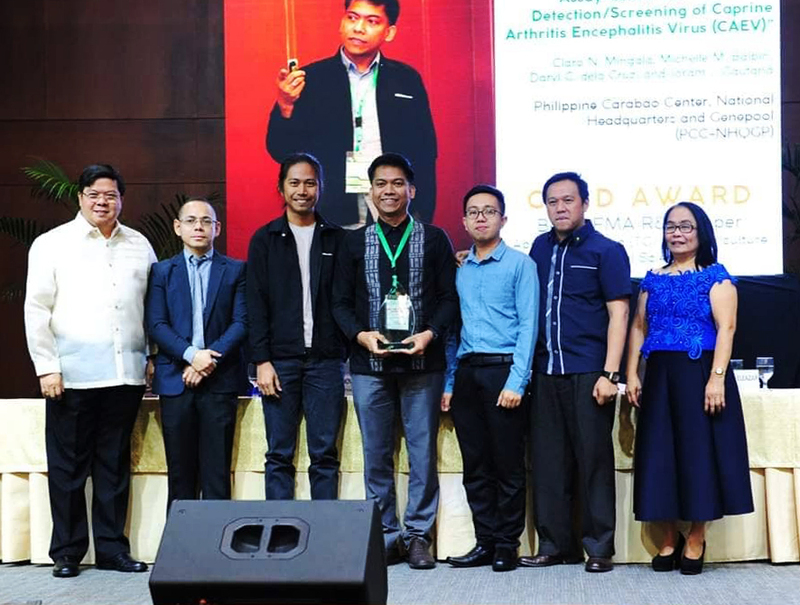 The research of the Philippine Carabao Center (PCC) on the development of pen-side Caprine Arthritis Encephalitis Virus (CAEV) test kit for goats bagged the “Gold Award” during the 30th National Research Symposium (NRS) of the Bureau of Agricultural Research (BAR) last November 8 at the Philippine International Convention Center in Pasay City. The research paper, titled “Development of Loop Mediated Isothermal Amplification (LAMP) Assay-Based Test Kit for the Detection/Screening of CAEV”, was conducted by a team composed of Dr. Claro N. Mingala, Dr. Michelle M. Balbin, Dr. Daryl G. Dela Cruz, and Dr. Joram J. Gautane. Dr. Mingala presented the paper during the symposium. It won the Agriculture and Fisheries Modernization Act (AFMA) Best R&D Paper Gold Award under the category “Applied Research (Technology Generation/Information Generation) – Agriculture Animal Science”. The paper also clinched the “Bronze Award” for the AFMA Best R&D Poster category. The test kit referred to was CAEV dry – LAMP. It is a rapid and cost-effective molecular-based test kit which detects CAEV in goats even at the farm level. Thirty-one of the 176 research papers submitted made it to the symposium proper of the 30th NRS. “The 31 research paper entries scored 85 percent and above during the initial evaluation that qualified them for the final presentation and deliberation at the symposium proper,” the BAR said in a statement. From the 31, 8 were selected for the gold award, 10 for silver, and 13 for bronze. They were selected from eight categories, namely: (1) Applied Research (TG/IG/ TA/TV) – Fisheries, (2) Applied Research (TG/IG/TA/TV) – Agriculture Crop Science and Crop Protection, (3) Applied Research (TG/IG) Agriculture Animal Science, (4) Applied Research (TG/IG/TA/TV) – Agriculture Engineering and Postharvest, (5) Applied Research (TG/IG/TA/TV) – Soil and Water Science, (6) Socio-economics Research, (7) Basic Research, and (8) Development-Agriculture Research. The AFMA Best R&D Paper Gold award received a cash prize amounting to Php100,000 and a research grant worth Php2M. 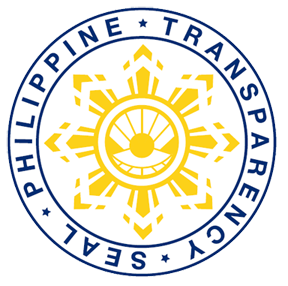 The silver award received Php75,000 and Php1M worth of research grant while the bronze award took home Php50,000 and Php500,000 worth of research grant. Meanwhile, the AFMA Best R&D Poster winners, received Php50,000; Php35,000; and Php25,000 for the gold, silver and bronze awards, respectively. “My team at the PCC’s Biosafety and Environment Section will do its best to come up with a good proposal for the 2M research grant,” Dr. Mingala said. The NRS is a major annual event of the BAR that recognizes the works of the country’s scientists and researchers contributing to agriculture and fisheries R&D. It also serves as a venue for sharing and expounding the results of scientific researches leading to significant technologies and breakthroughs in the sectors of agriculture and fisheries. 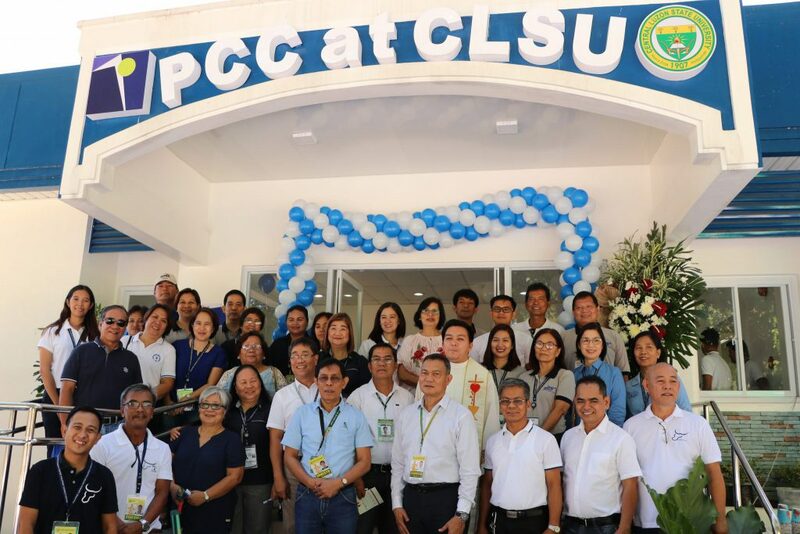 Another milestone was set as PCC at Central Luzon State University (CLSU) launched its new administration office at CLSU compound, Science City of Muñoz (SCM), Nueva Ecija last November 8. “We hope to utilize the building to further mobilize initiatives on the PCC Carabao Development Program,” said Dr. Daniel Aquino, PCC at CLSU center director, in his message during the Inauguration Ceremony. The Php4.8 million, single-storey building had its groundbreaking last year and its construction was finished last July. Since then, furniture and other necessities were gradually acquired. Meanwhile, Dr. Arnel del Barrio, PCC executive director, noted in his message the unrivaled partnership between PCC and CLSU in pursuing the carabao dairy industry. He urged the harmonization of the Carabao-Based Enterprise Development efforts and underscored the significance of the building in ushering more production of milk that he deemed needed in relation to the passing of RA 11037 or Masustansyang Pagkain Para sa Batang Pilipino Act, where it was stipulated that milk is to be included in fortified meals. PCC at CLSU is in-charge of Region 3 where Nueva Ecija, deemed as the National Impact Zone (NIZ) for Dairy Buffalo Enterprises, is situated. Of the PCC’s 12 regional centers, the PCC at CLSU contributes more than 30% of the National PCC output. “We will use this building as an instrument for us to produce more output and to achieve our goal, targets, and commitment,” Dr. Aquino added. “We are happy that this building was erected for the benefit of the staff and clients of PCC at CLSU. At the same time, I hope to restore the defunct old fountain pool in the vicinity to bring back old memories of CLSU alumni,” said Dr. Tereso Abella, CLSU president, who graced the event and had committed to accord help to the center in improving the other structures beside the new building. On the side, Dr. Jerry Rigos, SCM’s city veterinarian and agriculturist, who attended on behalf of Mayor Nestor Alvarez, expressed appreciation towards PCC and other research agencies which made Muñoz, a science city. He further added that Mayor Alvarez supports PCC’s initiatives in dairy development and will support all other efforts that can benefit the city’s populace. Also, in attendance to the event were officials and employees of PCC at CLSU and PCC National Headquarters and Gene Pool. The Carabao Development Program being stewarded by PCC, is comprised of Genetic Improvement, Enterprise Development and Research for Development components.